Coastal port and coastal waters areas are the main areas of high accident rates. Seasonal transitions, especially during the foggy season and typhoon-prone period, are relatively high incidences of accidents. Ship-to- bridges, ship-to-ship collisions are more likely to occur, with serious consequences. 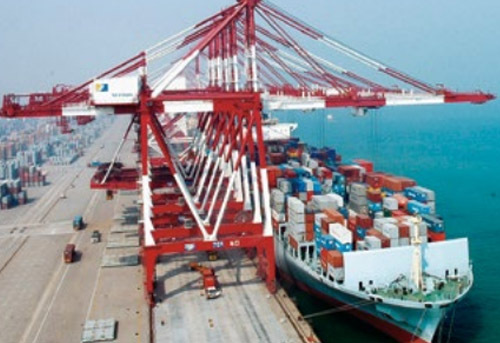 At present, China's maritime and large-scale navigable waters have widely used VTS systems to monitor and coordinate ships in or out of ports through radar, AIS, CCTV, and wireless communications. However, AIS is currently not mandatory for ships of less than 300 gross tonnage. Moreover, the whole system has limited detection capability and supervision capability for smaller ships, so it cannot meet the safety supervision of water transport areas such as inland rivers and lakes; inland rivers and lakes currently use CCTV to monitor at fixed-point areas, and the extension is not enough to achieve wide-area coverage. And it is highly susceptible to light and environmental conditions, and the rate of false alarm is extremely high. Water safety and cross-channel bridges anti-ship collision radar intelligent monitoring and early warning system adopts the world's advanced frequency modulation continuous wave radar technology, which can work normally in any light and climate conditions, and maintains a very low false alarm rate, which can quickly respond to any anomalies include emergencies. The comprehensive real-time situation awareness function extracts the real-time status and related real-time information of all objects within the coverage range, and can continuously track individual ships and record their navigation tracks for forensics and post-analysis. The site of the harbor and the terminal can also be monitored, and the management unit can monitor the high-incidence areas of the accident and the coastal port area in real time according to the demand. In the aspect of ship transportation, anti-collision warning, the best monitoring plan is also provided. The maritime management unit can delineate different monitoring areas and customize different rules to realize the anti-collision warning function of bridges, piers and water surface buildings.